Second pass of the day!! What a day….Kirsten who works for The Driving School sw has her second pass of the day! 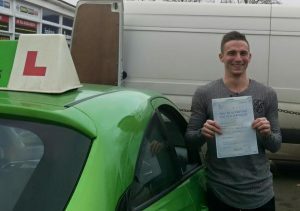 Huge congratulations to Andy Jones who has been having Driving Lessons in Torquay and has passed his Driving Test first time with 7 minors…fantastic result, well done. ?? ?